The main character is Kang Hae Yo. She is not an ordinary high school girl. As a matter of fact, she is a jjang of her school and her gang is the most powerful one in Seoul. But she wants a normal like and a boyfriend. She cannot though. She is hot blooded and cannot control her temper whenever she meets so called “wimps”. The time is year of 2002. Every youngsters get to chat online once in a while. And Kang Hae Yo was not an exception. Her nickname on net is “playgirl18”. Actually, she doesn’t know her well around the computer, but her sub-jjang, Yoon Ji Ni, teaches her so-called “necessary things for online chatting” such as being girly. 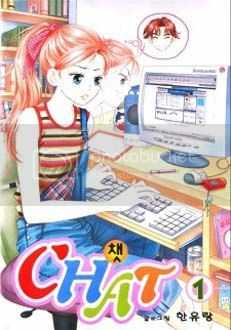 Hae Yo begins to find herself a new life from online chatting. She begins to think online chatting as her only exit to the gang life. What will happen?